Clinical pharmacists help manage complex patients because they look at medications with a different eye than a doctor. Anyone managing patients with chronic medical conditions understands the importance of medication management and adherence. Most providers, however, have little time to deal with these issues. A possible solution is working with a clinical pharmacist. Aside from dispensing medications, they perform such tasks as medication therapy evaluation, chronic condition management, and training on pharmaceutical best practices. Bringing in a clinical pharmacist is not an inexpensive proposition: Their median salary, according to Salary.com, is $113,000 a year. But the improved outcomes can lead to increased incentive payments, which could make hiring a clinical pharmacist worth the investment. Molly Ekstrand, with Park Nicollet Health Services, in St. Louis Park, Minnesota, has worked in clinical pharmacy for 15 years. Though her focus mainly has been in primary care, she said specialists need the services as well. Many of their patients are juggling numerous doctors and medications. Clinical pharmacists help manage complex patients because they look at medications with a different eye than a doctor. One important practice they perform is a “comprehensive medication review” where patients bring in medications, vitamins, supplements, and over-the-counter drugs. The pharmacist reviews each medication for indication, efficacy, safety, and convenience. They make sure there are no duplications and the doses are appropriate. They will also know if there are potential drug-drug or disease-drug interactions. They also can discuss outcomes (both clinical and those expected by the patient), adherence barriers, side effects, and cost. Pharmacists can help decrease physician burnout by performing some basket management tasks to decrease providers’ workloads. At a Park Nicollet infectious disease department, a pharmacist works directly with patients, but she also monitors lab results for patients on intravenous antibiotics to ensure they are on the correct dose. Ekstrand said this pharmacist manages 15 to 20 lab results each day, performing work a nurse could not. From a financial perspective, physicians who can delegate disease management and lower-level tasks to pharmacists can see more complex patients, Ekstrand said. Lin works with the Michigan Pharmacists Transforming Care and Quality program, which connects clinical pharmacists in the state with primary care providers. 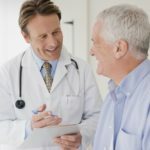 Some pharmacists try to increase their value to a practice by providing disease management (diabetes, hypertension, and hyperlipidemia) and comprehensive medication review sevices, as well as spending time educating staff. As new drugs enter the market, they can perform in-service training for staff on new therapies and treatment guidelines. Ekstrand said there is not really a critical mass required to make hiring a pharmacist worthwhile. Much depends on the complexity of patients’ medication needs. She has seen a practice with 6 physicians keep a single clinical pharmacist busy and a practice with 20 physicians who did not have enough work for a clinical pharmacist. Small practices can enter a partnership whereby they share a pharmacist. In a 2016 article in the Journal of Managed Care, 915 patients with type 2 diabetes had approximately 5 in-person visits with clinical pharmacy specialists over a 3-year period. During that time, patients lowered their hemoglobin, improved blood pressure, lowered their lipids, triglycerides, and LDL cholesterol, and increased their HDL. The cost of patients’ medications increased slightly during the study period, likely because adherence improved. Ekstrand is working on a project analyzing potential resources needed to keep patients in stages 4 and 5 chronic kidney disease from moving to dialysis. Delaying dialysis saves $53,000 annually in their cost of care, she said. In the first year of the Michigan program, the clinical pharmacists had more than 15,000 patient encounters, a majority of whom had diabetes, hypertension, and high cholesterol. More than 9,000 medication changes were executed and nearly 3,000 non-therapeutic treatments, including foot exams and lab orders, were completed. Lin said some providers are likely concerned that a clinical pharmacist might come into a practice and take over patient care. In their program they made sure to communicate openly with providers, social workers, nurses, and other care providers to avoid any turf battles. 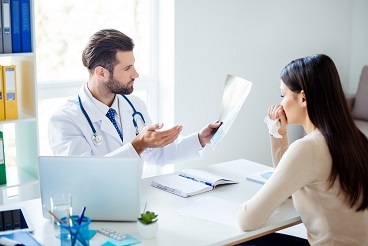 Providers typically do not have time to go into detail regarding side effects of medications and how best to take them in relation to other drugs they are taking. Pharmacists are not the “medication police,” Ekstrand said. They are not there to oversee or question prescribing habits, but to help patients better understand how to optimize and adhere to their medicines. Many individuals with chronic conditions may be getting disparate information from various providers: a diabetes educator may tell someone to eat a lot of vegetables, while a cardiologist will warn against leafy greens because of their medication. A clinical pharmacist can help someone sort through those types of issues.